She believes in harnessing the potential of people to deliver outstanding results in business to improve society. 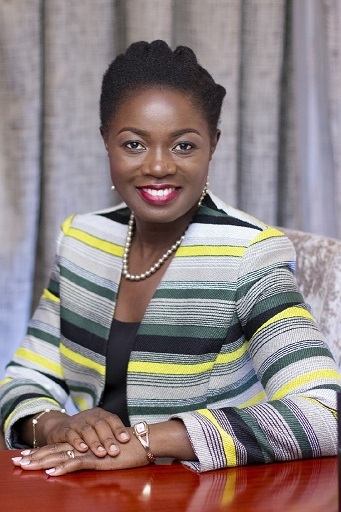 Lucy Quist is the CEO & founder of Quist Blue Diamond (www.quistbluediamond.com). She is the first Ghanaian woman to head a multinational telecommunications company as the former CEO of Airtel Ghana. She is a co-founder of the Executive Women Network in Ghana (www.ewntree.com). In September 2018 FIFA appointed her Vice President of the normalisation committee to restructure and transform football in Ghana. She is the board chair of Petra (Pension) Trust and a board member of the Consolidated Bank Ghana. She is a chartered electrical and electronic engineer with a first-class honours degree from the University of East London. She is a member of the Institute of Engineering and Technology (UK) and holds an MBA from INSEAD in France. She has over two decades of corporate experience with blue chip companies starting at Ford Motor Company. She has held C-level positions for a decade at Tigo (Millicom), Vodafone and Airtel. Her career spans manufacturing, telecommunications, banking and automative industries in Europe and Africa. She has led technical, marketing and sales functions before becoming CEO. She is a passionate advocate who believes in harnessing Science, Technology, Engineering and Mathematics (STEM) to advance development in Africa. She also advocates for greater participation in STEM especially for young people across the continent. She is a recipient of multiple honours by reputable organisations for her exceptional strategic insights, delivery of transformative business results and dedication to growing people within her organisations. Notable among these are CIMG Marketing Woman of the year (2014), Telecom CEO of the Year (GITTA Awards 2016), CSR CEO of the year (Ghana CSR Excellence Awards 2016) and the Corporate Leadership Award at the Ghana Legacy Awards (2017). She is an accomplished international speaker focusing on leadership, technology, transformative business models and the creation of prosperity for the disadvantaged in the world. Lucy serves as an advisor to the Women in Business Initiative at the Africa CEO forum, IIPGH and the Ghana Climate Innovation Centre.